Weeds can be challenging to identify. Tiny seedlings can be even trickier. 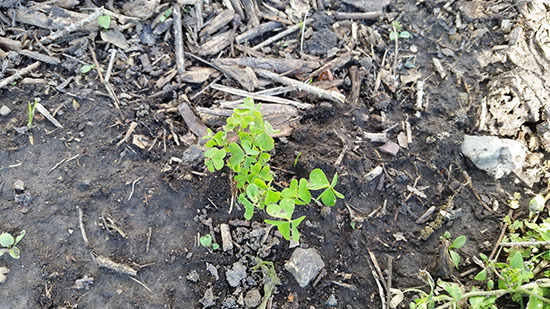 Often times, letting your mystery seedlings grow a little so that all the parts are easier to see and handle can greatly help your identification efforts. Of course, waiting until your weeds are too tall can result in weeds that are more difficult to control. Therefore, timely identification is essential. 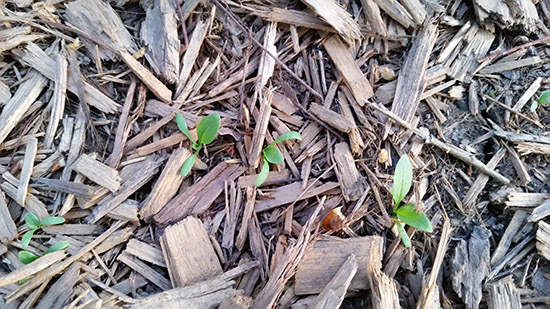 The following are 10 seedlings that have been prevalent the past few weeks. Of course, the southern part of the state likely saw these already. If that's the case for you, simply view this as a refresher if you will. For you Northerners, these weeds will be popping up soon if they have not already. I trust they are there already with the warmer days we've had. 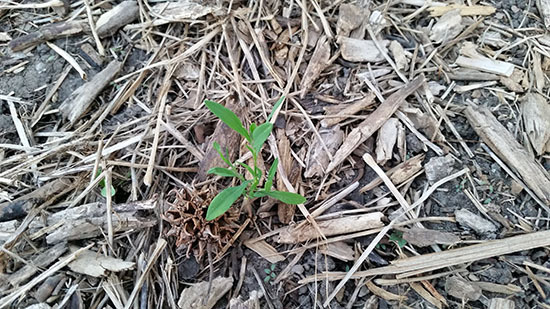 Prostrate knotweed (Polygonum aviculare) – is a flat growing summer annual that germinates early in the spring. Cotyledons are narrow and grass-like. Plants form a tough, wiry mat. True leaves are rounded and a bluish green. At the base of the leaf, the stems are surrounded by a papery sheath (ocrea). The flowers are small and inconspicuous. 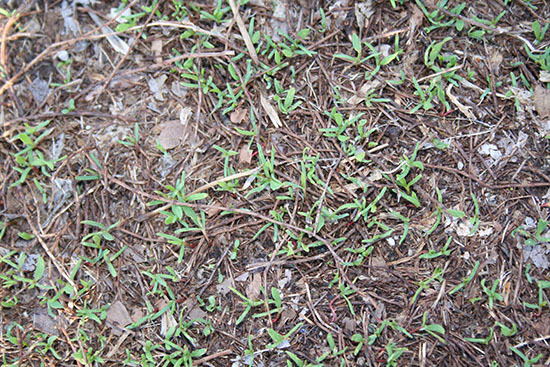 This weed is a common lawn species and can invade landscape plantings from lawns. It is often found on compacted soils and paths. Speedwells (Veronica spp.) – are low-growing and freely branched. Many types exist. 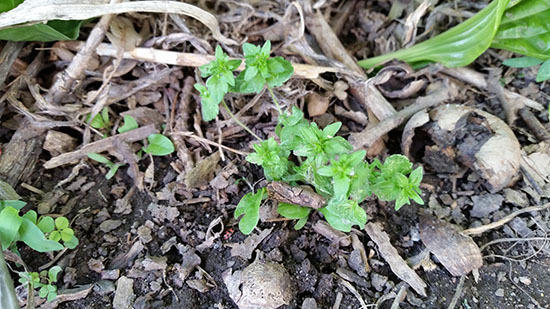 Some of the more common species in Illinois (corn speedwell and purslane speedwell) are winter annuals, but some types are perennial. Flowers occur in the spring; they are small and white, blue, purple, or pink. The seed capsule is generally heart-shaped but can be four-lobed on certain types. Leaf margin and arrangement vary according to type. 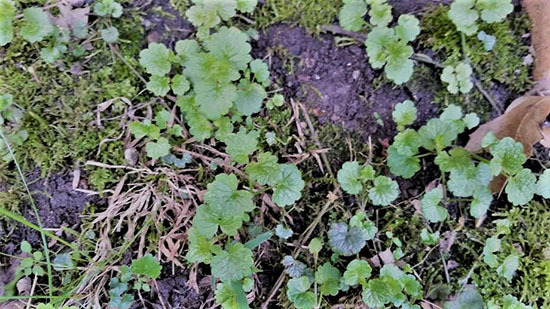 Speedwells are common in lawns, gardens, roadsides, and fields and can be a particular problem in spring seedings. Shade and moisture are favored by several types. Yellow woodsorrel (Oxalis stricta) – is a low, dense, perennial weed that can stand about 12 to 18 inches tall. Spread is primarily by seeds but can also be by rhizomes. The stems are weak, branched at the base, and hairy. The leaves have long petioles and are divided into three heart shaped leaflets. The flowers have five yellow petals. The seed pods are five ridged, pointed, and about 1 inch long. Dandelion (Taraxacum officinale) – is a perennial weed that reproduces mainly by seeds but also by broken taproot segments. The leaves are borne in a rosette around the stem and are simple, 3 to 10 inches long, and deeply lobed (teeth point toward the leaf base). 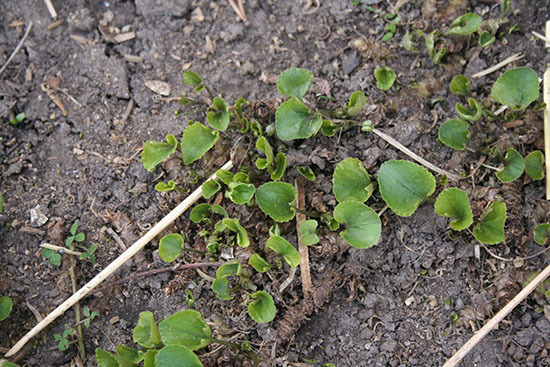 Seedlings can easily be confused with similar growing rosette forming species such as shepherd's-purse. Leaves, flower stalks, and taproot exude a milky juice when cut. The flower heads are 1 to 2 inches wide and bright yellow. 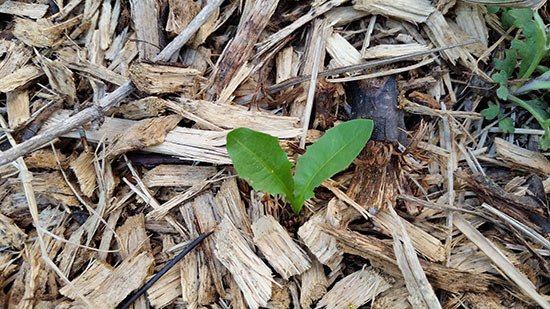 Broadleaf plantain (Plantago major) –is a rosette forming cool-season perennial that reproduces by seed. The leaves are dark green, broad-oval, with prominent parallel veins. The flowers are small; borne in dense clusters at the upper ends of 8 to 20 inch tall leafless flowering stalks that appear like fingers or rat-tails. Violets (Viola spp.) – are a low growing cool-season annual or perennial spreading by seed and creeping rhizomes. The leaves are kidney-shaped to broadly oval with heart-shaped bases; 2-4 in. wide, often cupped, with margins that are toothed. The flowers appear early in spring and are pansy-like, white to blue to purple, and sometimes yellow. Violets prefer moist, shady, fertile sites. 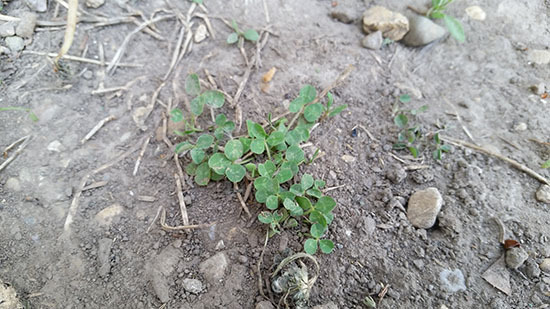 White clover (Trifolium repens) – is a cool-season perennial spreading primarily by seeds but also by creeping stolons that can root at the nodes and form patches. The leaves are comprised of 3 unstalked oval leaflets on one long petiole; leaflets are dark green, often with faint, white, crescent-shaped markings. Flower heads are ballshaped, white to pink, up to 1¼ inches across. 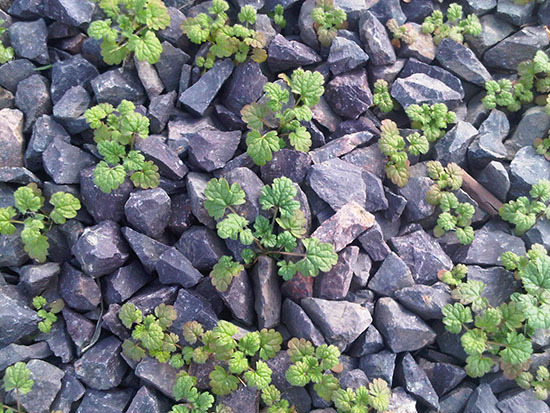 Henbit (Lamium amplexicaule) – is a winter annual weed that appears in late fall and very early in the spring. The leaves are opposite, with rounded teeth to deeply lobed on the upper leaves, and only the lower leaves have petioles. The stems are square, green to purple, erect but branching at the base. Pinkish-to-purple flowers are borne in the axils of the upper leaves. It is found in gardens, lawns, and cultivated fields. Ground Ivy (Creeping Charlie) (Glechoma hederaceae) – is a perennial member of the mint family that reproduces by seeds and root pieces. It may form patches as it creeps on square stems that can grow up to 2-1/2 feet long, sometimes rooting at the nodes. Occasionally, the stems grow in an ascending fashion. Leaves of ground ivy are opposite, round to kidney-shaped, and 1/2 to 1-1/2 inches in diameter. They may be smooth or hairy, medium to dark green, and have long petioles and a rounded, toothed margin. They produce a minty odor when crushed. The flowers are small, lavender to blue-purple, funnel-shaped, and clustered in leaf axils. Ground ivy flowers occur from April to June. 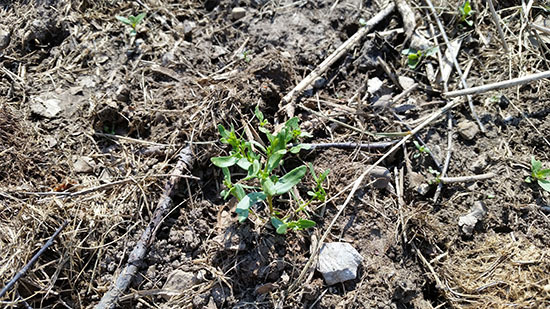 This weed normally occurs in shaded sites with poorly drained, fertile soils. It can spread into sunny areas. 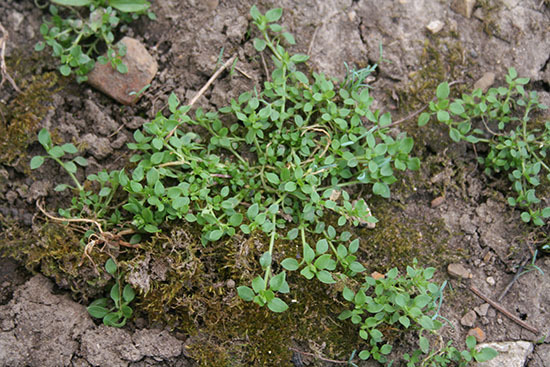 Common chickweed (Stellaria media) – is a winter annual with a shallow, fibrous root system. It grows 4 to 12 inches tall. The leaves are light green, opposite, and often teardrop shaped. The flowers are small and white and have five deeply notched petals. It is common in lawns, gardens, and landscape plantings.